The late Oscar de la Renta and his wife Annette were keen gardeners. 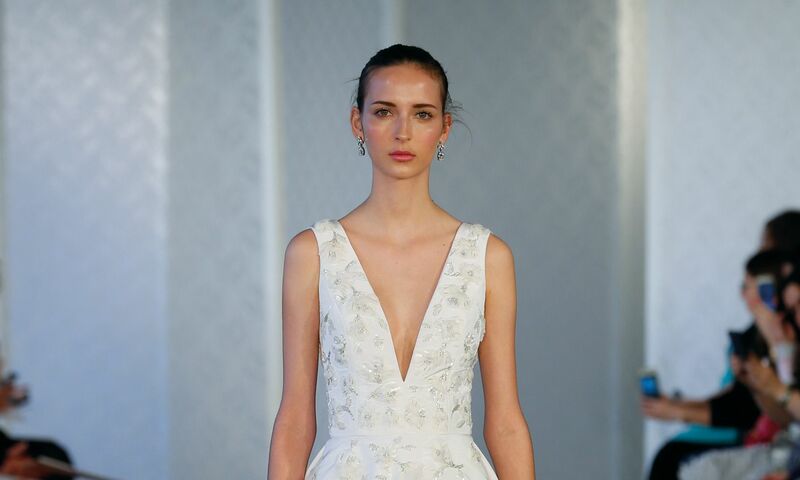 The rolling lawns of their upstate New York property, ideal for any garden wedding, served as inspiration for this romantic collection for the summer bride. Blossoms and petals sit atop satin bodices, ornate florals tumble down tulle skirts and rosebuds make up the pattern for delicate lace dresses. 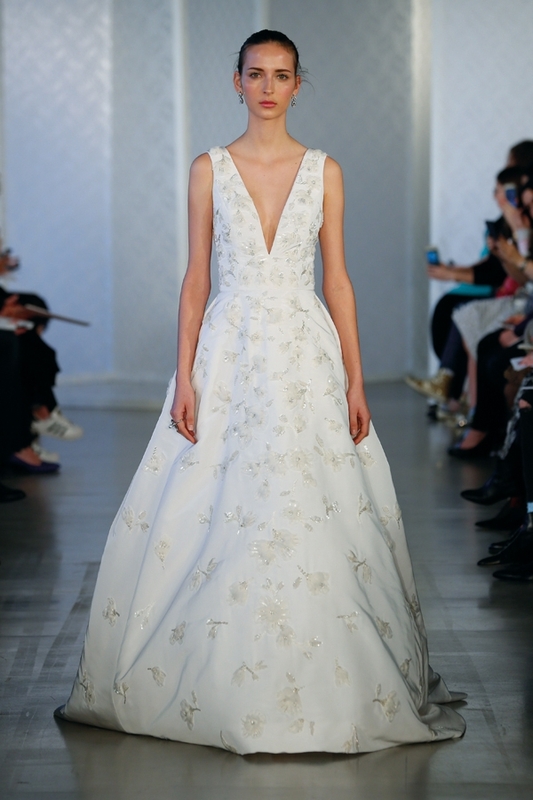 On this voluminous floor-length number, embroidered blossoms add a touch of exquisite charm, while the deep V is a modern alternative to the tried-and-true sweetheart neckline. Who says wedding gowns have to be long? Embrace your playful side in this unconventional number with a silk bodice and tulle trimming. This feather-and-lace cover-up layered on top of an intricate gown is at once elegant and elaborate—perfect for warding off that spring breeze. The beauty of this dress lies in its understated simplicity—from the clean cutting to the flattering drape of the silk fabric to flow "just so" as you walk down the aisle. For your inner romantic—this lace dress features full-length sleeves and an ever so sheer skirt that proves you don't need to show off any skin to be the most beautiful woman in the room. All gowns available at Trinity Bridal (trinitybridal.com.hk).